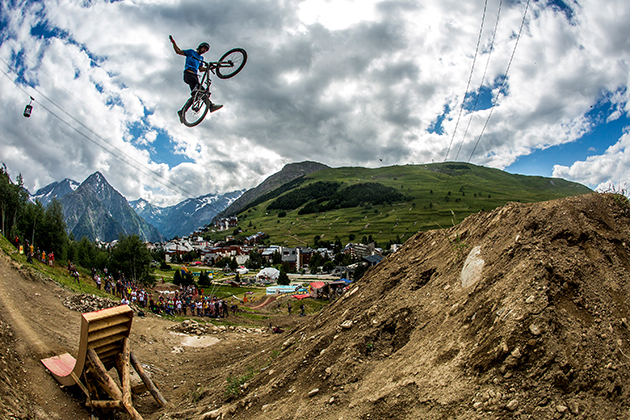 Each year, the world’s best head to Les 2 Alpes to compete in the European Crankworx event. And each year, history is made. 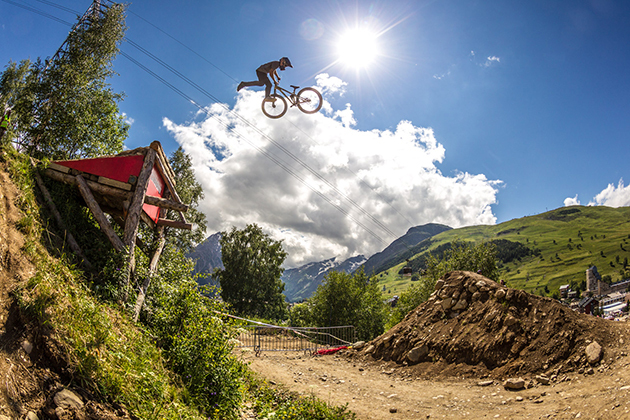 For the first time in his career, Anthony Messere (CAN) takes his first-ever win in the 2014 Crankworx Les 2 Alpes Slopestyle, besting big names such as Darren Berrecloth and Brandon Semenuk. "The feeling is just insane. 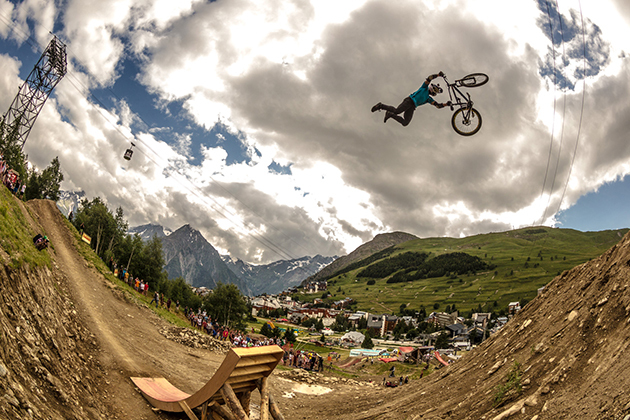 It feels like I'm in a dream," said Messere after the win. "I'm so happy to be here, and I'm so happy to be standing here right now. Everybody absolutely slayed it. And to be up on top with all these other dudes' runs? Just, wow." The 19-year-old’s victory was solidified after a missive second run that included a flawless front-flip-tuck no-hander, sending the crowd to their feet and the birds fluttering. 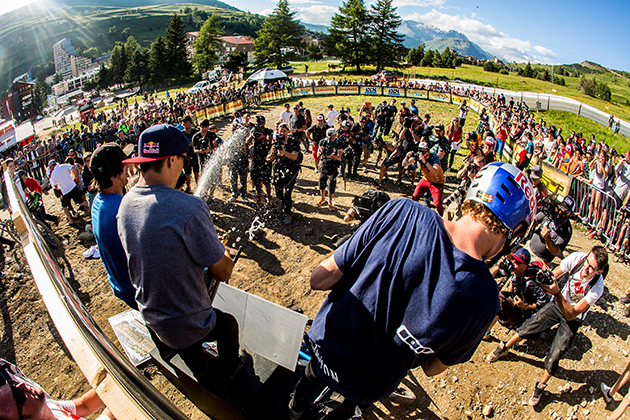 Standing on the podium next to Messere was Thomas Genon (BEL) in second and Sam Reynolds (GBR) in third. 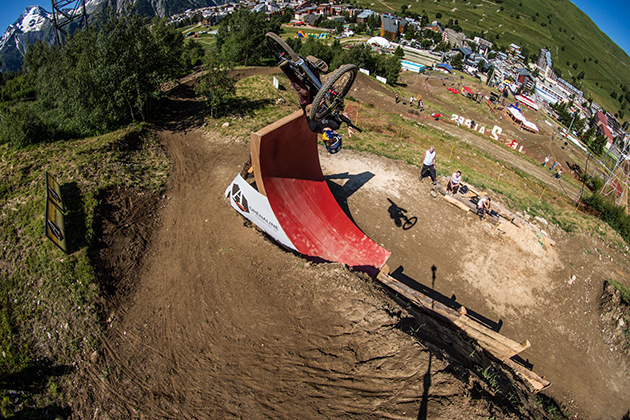 Watch the full-replay from the slopestyle event here. 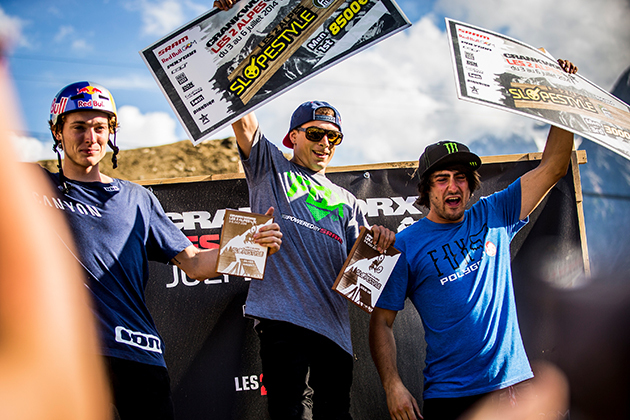 Anthony Messere celebrates atop the podium. 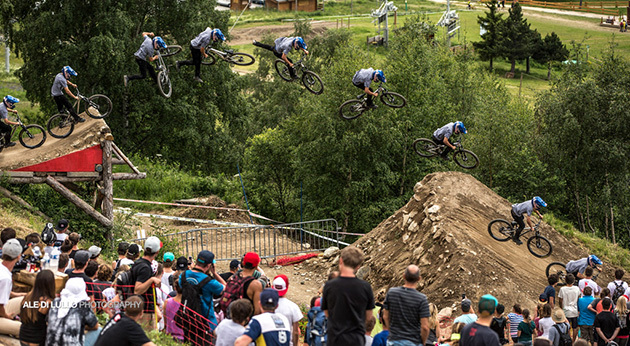 Just like its brethren in Whistler, Crankworx Les 2 Alpes is an event of large proportions. Each day includes several contests, which makes the crowd roar and the athletes soar. 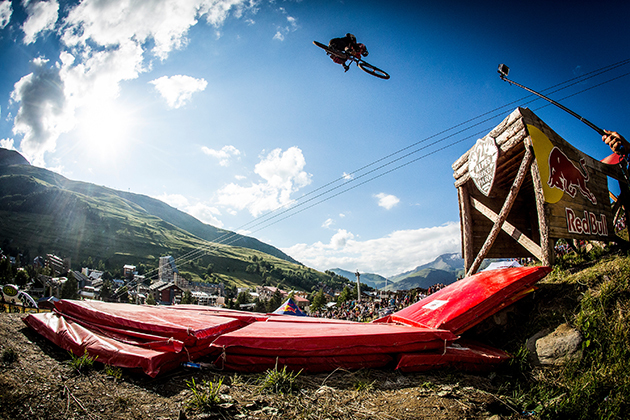 The following three videos will definitely make you want to attend next year. 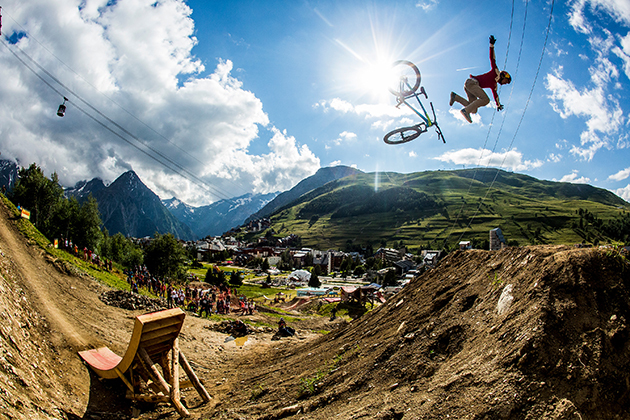 With all gravity-oriented events, there just has to be a downhill race. And of course, this event is no different. 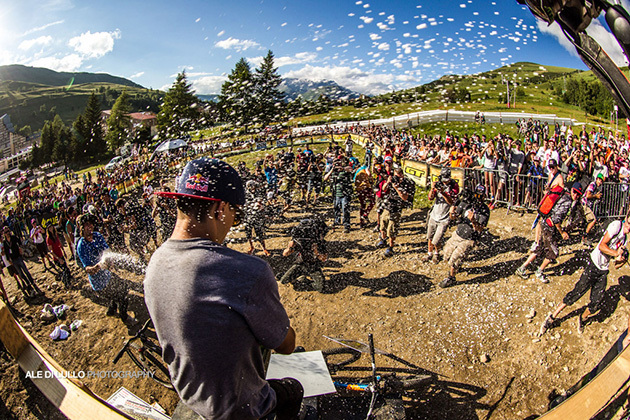 Gee Atherton (GBR) is yet again, the Crankworx Les 2 Alpes DH champion, winning it every year since its inauguration in 2012. "That was was the goal this year, so I'm very happy," said Atherton on his way to the podium. He finished nearly three seconds faster than second place finisher, Guillaume Cauvin (FRA). "It was tough," said Atherton. "It was changing, it was getting rougher, the wind picked up a bit this afternoon so it was kind of unpredictable. But a good one to race, you know. It's really physical and technical in places. I think it challenged all the riders really." 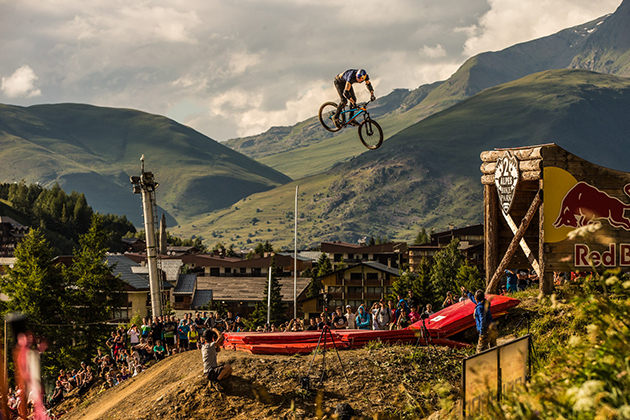 Brendan Fairclough (GBR) took third place. On the women’s side, Myriam Nicole (FRA) took the win, followed by Tracey Hannah (AUS) and Tahnee Seagrave (GBR), respectively. 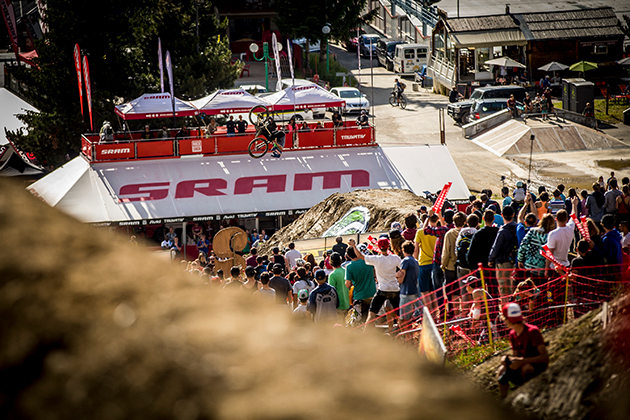 Click here for the Crankworx Les 2 Alpes, Polygon DH-iXS European Cup full-replay.